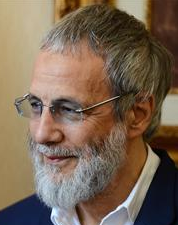 August 2, 2013 On the sidelines of his busy political schedule, Prime Minister Recep Tayyip Erdo?an hosted in Ankara British legend Yusuf Islam, the musician formerly known as Cat Stevens who converted to Islam in the late 1970s. The globally known musician was on a visit to the Turkish capital to request financial support for a new mosque to be built within the grounds of Cambridge University. After attending Friday prayers together at the prayer room of the Prime Minister’s Office, both Erdo?an and Yusuf Islam engaged in an intimate conversation in front of reporters. ‘How many kids do you have, Yusuf,’ Erdo?an asked the author of the hit ‘Father and son,’ which relates a conversation in which father gives advice to his young son. ‘I know your advice,’ Yusuf Islam replied, referring to Erdo?an’s publicly known plea for parents to bring at least three offspring into the world. ‘I have six, so I have doubled it,’ he added. During the meeting that lasted around one hour, Yusuf Islam obtained Erdo?an’s promise to give financial support to the mosque project. The musician also visited the Turkish Parliament during his time in the capital city, where he was accompanied by a series of foreign guests who are also on the committee of the mosque project. The Cambridge team also had a meeting with President Abdullah Gül and Parliament Speaker Cemil Çiçek. He has also been awarded by a variety of organizations for his global peace efforts. Islam is chairman and a founder the International Board of Educational Research and Resources (IBERR), an international Islamic educational organization whose trustees are largely tied to the Global Muslim Brotherhood. Ibrahim Brian Hewitt, a former secretary to Mr. slam, has been associated with both IBERR and Interpal, a British charity that is one of the most important organizations in the Union of Good. In January 2009, Mr. Islam released a charity song from which all proceeds were to be donated to the United Nations Relief and Works Agency (UNRWA) and Save the Children in order to aid children and families in the Gaza Strip.